The AARP is a juggernaut. Nearly 40 percent of all Americans over the age of 50 (nearly 35 million) belong to AARP. At a time when magazines of all stripes are struggling with declining circulation, the Audit Bureau of Circulation has AARP Magazine as the highest-circulated publication with a little more than 22 million readers. The group is now betting it can muscle further into the digital world – aarp.org received 5.3 million unique visitors in May 2012, up from 4.5 million in May 2011 — with a coupon site called Hot Deals that’s geared to the 79 million Baby Boomers (those born between 1946 and 1965) whose sunset years are on the horizon. 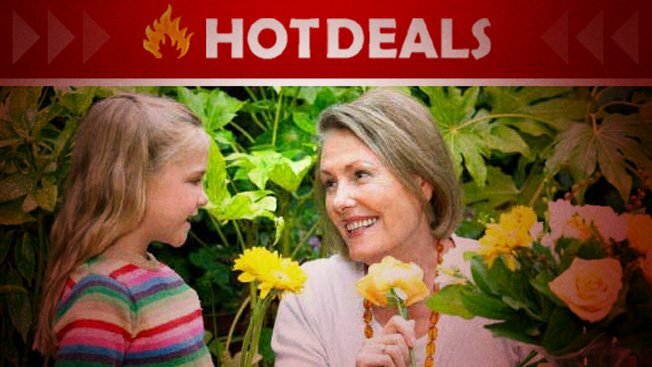 There are currently 13 brands participating in Hot Deals — including Dell, Radio Shack, MLB, GNC, British Airways, The Hartford — which offer AARP members discounts like $5 off a Radio Shack purchase of more than $90 or free shipping on a pair of Dockers. AARP takes a cut of the deals redeemed. The timing might be right. Advertisers are often obsessed with chasing youth, with the idea that their brand preferences aren’t yet set in stone. But older Americans are far more likely to use coupons; according to GfK MRI’s Survey of the American Consumer, compared to those age 18-49, 50+ consumers are 20 percent more likely to use coupons, and 21 percent are more likely to be heavy coupon users. Additionally, Baby Boomers have become extremely Web savvy. According to an April 2012 Pew study, 53 percent of American adults age 65 and older use the Internet or email. According to the AARP, about half of its members are working (full or part time), while the rest spend their days in retirement. And the age breakdowns: 33 percent are under 60, 46 percent between 60 and 74, and 21 percent are over 75. You might think of the AARP as, excuse the pun, old school. In fact, it has a digital business that many publishers would envy. Zeuschner claims that over the past four years, aarp.org has experience 30-50 percent growth in revenue. He also said that the site gets “anywhere from $45 CPMs on the homepage and our premium channels are north of $25.” Hot Deals works on guaranteed impressions, making the buy more affordable. According to Zeuschner, average time spent on aarp.org is 29 minutes, indicating that there’s some type of justification for the high CPMs. But with Hot Deals, this is a program that’s an easier point of entry for brands. The 50+ generation goes online -- and brands and publishers have finally gotten the message. Some, like AARP and Perion, are trying to reach this demographic with deals and gadgets. AARP launched a Web page on its site specific to Hot Deals, offering brands like Dell, The Hartford, Major League Baseball, and Radio Shack a direct connection to the 50+ crowd. The deals aim to reach AARP's nearly 35 million members -- a majority comprising baby boomers, which Nielsen estimates control $230 billion in sales. About 74% of all ARRP members sign up looking for discounts, according to Peter Zeuschner, AARP Northeast media sales manager. "The main site generates about 5 million monthly unique visitors," he said. "They spend about 29 minutes on the site." Zeuschner said the content related to social security issues, technology and health services targeted to the 50+ generation keep visitors on the site. There are more than 20,000 recipes on the site. Many feed between two and four people, rather than three to six. Founded in 1958, AARP supports nearly 35 million members. Nearly one-third of the members are under age 60, about 46% are between 60 and 74, and 21% are 75 and older. The key to understanding this demographic resides in recognizing that those who are 50-plus do not fear the Internet or technology, but some need a little convincing and an easy way to access it. Although 88% of the Americans age 45+ consider themselves slow to adopt technology, research by Perion Network suggests that 85% adopt a new technology when it fits their lifestyle, and 89% will use new technology if it’s better than what they use today. Perion focuses on software and technology tailored for what Adam Goodvach, director of consumer insight, characterizes as "45+ Second Wave Adopters (SWAs)." He found that this demographic based the decision to adopt or buy specific technology on the practical impact it will have on their lives. Older Americans want you to know they’re worth marketers’ time, but apparently everyone hasn't gotten the memo. AARP knows that well, so it’s created a new deals section to entice them to advertise on its site without—God forbid!—being seen by younger consumers. Zeuschner said he hoped that the results of Hot Deals would speak for themselves—AARP members have money to spend and are deal-happy—and in so doing, help change attitudes about marketing to older people.